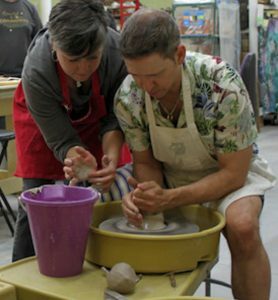 As a “Create Your Own Workshop” instructor, I have been able to celebrate many special occasions with couple’s and individuals’, but also have the joy of cheering on those that always wanted to try the potter’s wheel, and then giggle with delight as they get the hang of centering and find their way into making a bowl that will find a proud place in their kitchen and home. 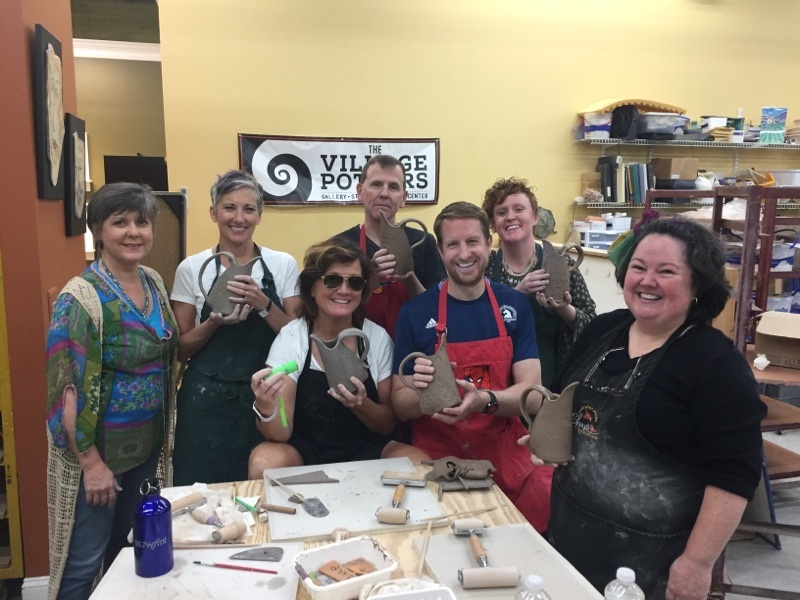 Another fun teaching experience was a young man who surprised his girlfriend first with mountaintop marriage proposal and then brought her to a Create Your Own Workshop at The Village to celebrate because it was something she had always wanted to do. He actually videoed the entire thing! A very sweet time and a real treat to be part of their memories! Providing a lasting memory with our Create Your Own Workshops is part of who I am and what I love to do at The Village Potters. 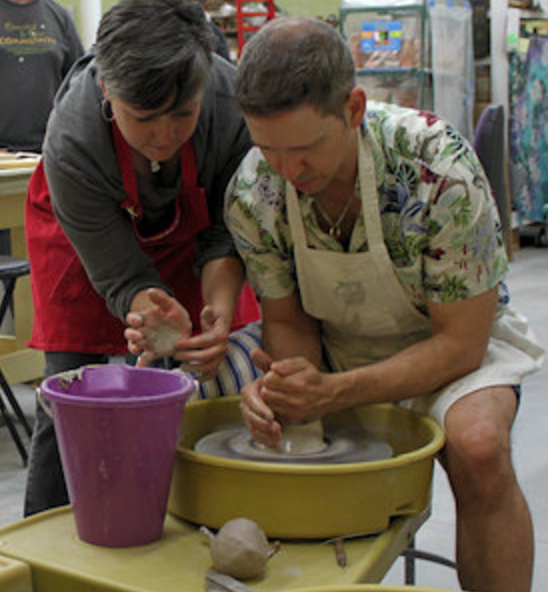 These special classes are designed to provide a two hour experience for all kinds of folks.